Hero Honda took off track when others were in the competition of launching new products flexing their technological prowess. It cleverly went ahead with the policy 'old is gold' fine-tuning its in hand products to tap a great chunk of profit in the market. It really moved forward which can be seen from the reports of sales and financial results of the company if they are anything to go by. Lately, it has come out with the proven products such as Pleasure, Passion Plus, Splendor NXG and CBZ Xtrem to stabilize the market. And the Passion Pro is the twist and turn version of the Passion Plus and hence there is no much difference in performance of the engine. Nevertheless, some of the improvements made in this bike are alloys, red colored springs for the shocks, black paint for rear hand rails, leg guard, muffler and the chain case. It also comes in self start and kick start variants. Hero Honda looks bright keeping in line with its marketing strategy. Hero Honda Passion Pro is of 100c engine and it is one of the most powerful engines from the plant of Hero Honda. It attains a top speed of 85kmph and it displaces 97.2cc. It is a 4-stroke, air-cooled OHC engine with a 4 speed manual transmission that is capable of producing 7.8PS power at 7500 rpm and 8.04 Nm. 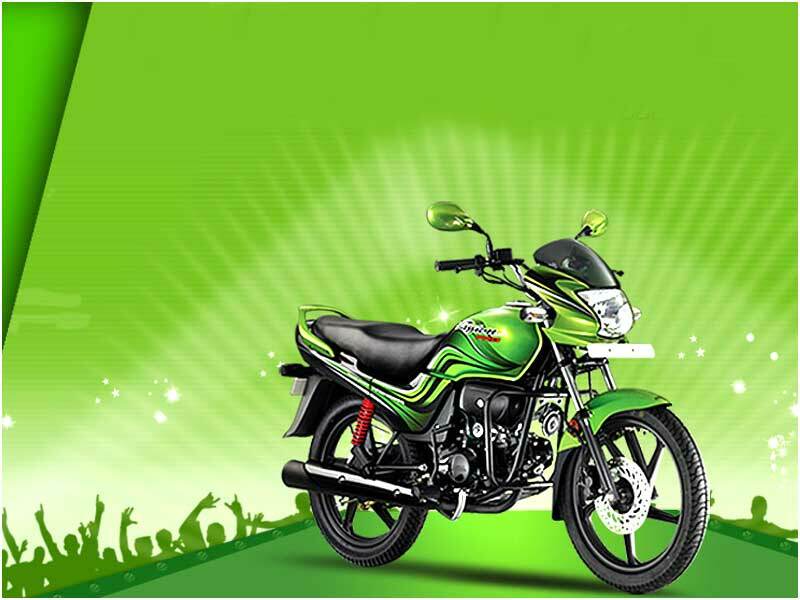 It is designed to target the Indian youth with its stylish look and high performance. Passion Pro Power Start, the spruced up version of Passion Plus, showcases some new features and improvements with a facelift. They include new front visor for the modern look, tweaked dials for better readability and new graphics on body panels and tank. 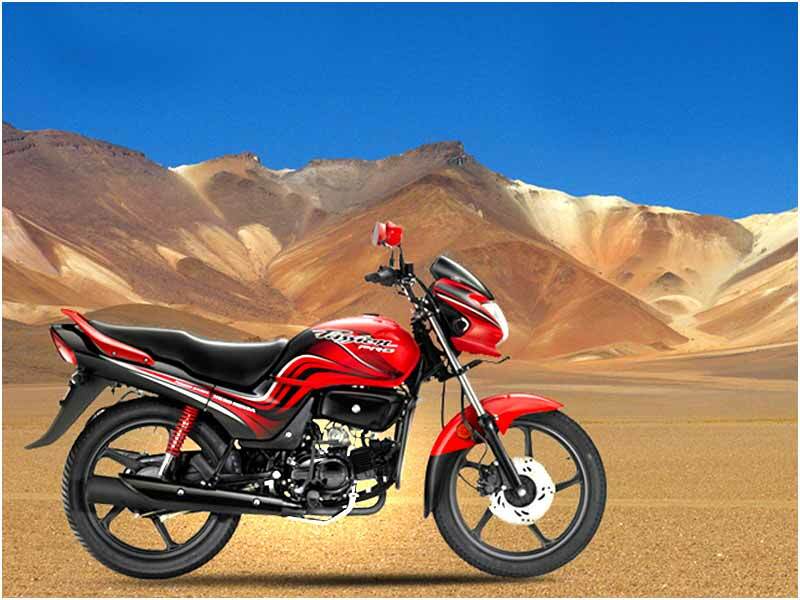 The red coloured sporty shock absorbers at the rear and full silencer guard are welcome additions in Passion Plus Pro. It also gets a new black kick start lever. Roller mechanism of the engine is further tuned to reduce friction and vibrations. An integrated electric motor helps to start the bike with a push- button. Electric start / self start are the standard model in New Passion Plus Pro. Handlebar clamp and pillion grab handle are redesigned based on the customer feedback. The engine is very smooth and noiseless and on the highway we can keep the constant speed of 65km/h. Gear changes are also smooth and trouble free. Passion Pro has the option of self start and kick start. The electricals are covered with round rubber coatings to avoid the seepage of water in the rain. It gives around 70 kmpl on the highway and in the city traffic around 60 kmpl. The headlights are quite sufficient to light up the road upto 100mtrs in the complete dark. The brakes are very good along with the weight of the bike assuring the comfort level. The seat is wide enough to accommodate both the rider and the pillion without any complaint. 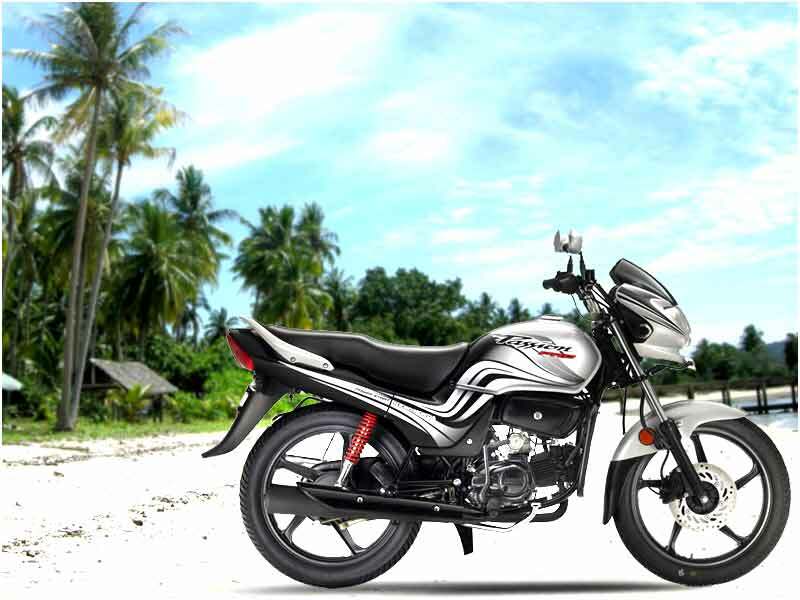 Hero Honda Passion Pro, a performance oriented bike with amazing features, can deliver an average mileage of 68-70 km/l. Available Colors of Hero Honda Passion Pro are: Black with Sports Red, Vibrant Blue, Leaf Green Metallic, Sports Red, Black with Frost Blue and Force Silver.